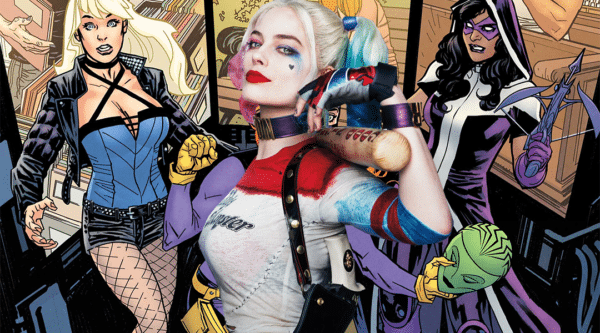 Having secured its key cast in Margot Robbie (Harley Quinn), Mary Elizabeth Winstead (The Huntress), Jurnee Smolett-Bell (Black Canary) and Rosie Perez (Renee Montoya), Warner Bros., DC Films and director Cathy Yan are deep in prep on the DCEU girl gang movie Birds of Prey ahead of filming early in the New Year. Although there’s been no official confirmation as yet, it’s been heavily rumoured (to the point of being accepted as fact now) that the plot will see Harley and company teaming up to project a young Cassandra Cain from the crime lord Black Mask, and now Revenge of the Fans claims to have a little more info on the film’s characters and story. 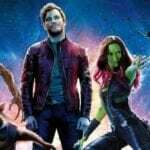 According to the site’s report, the film begins with Harley trying to move on from The Joker (who’s referenced but not seen), while Black Canary is a singer who fights crime at night and Huntress has recently left Black Mask’s employ as an assassin after learning that he was responsible for killing her family. Renee Montoya meanwhile is on the trail of Huntress and Black Mask, looking to bring them down because of the bodies they’ve left behind. Harley, Black Canary, Huntress and Montoya are then brought together to rescue Cassandra Cain, who has been kidnapped by Black Mask and is being groomed to be his ‘Perfect Assassin’. Apparently Cassandra will be presented similar to that of Laura/X-23 in Logan – a silent but deadly killer. The article also goes on to tease an “EPIC CAMEO”, but offers no further details.